Etienne strips it down to the barest of basics. 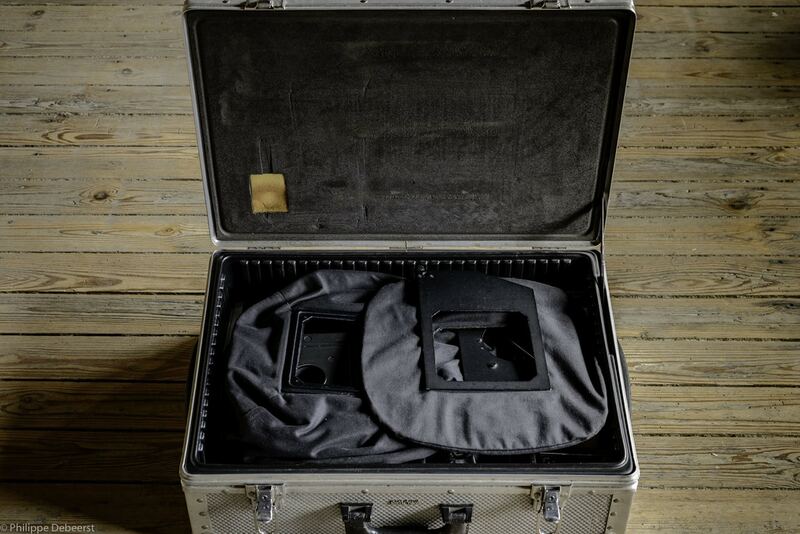 A couple of cameras, some film and a massive bag to fit it all in. Check it out. I’m Etienne from Paris, France and I’m 36. 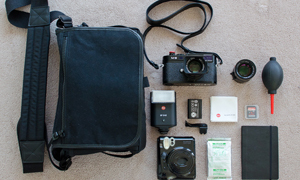 As I shoot mainly street photos, my bag is quite light. I usually take two cameras so here is what I took for this shot. 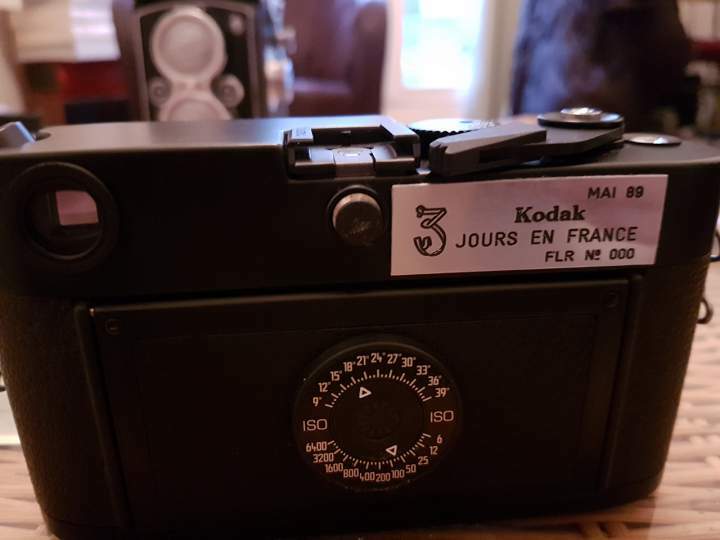 I recently had the chance to have a wonderful gift: a limited Leica M6 with a plate made by Kodak for “3 jours en France” and this is the number 00 ! 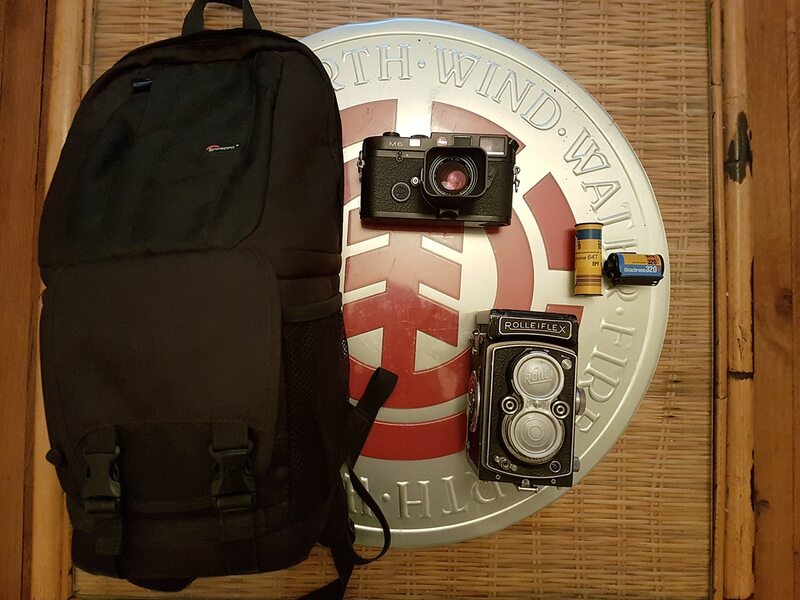 The lens on it is a Summicron 35mm. 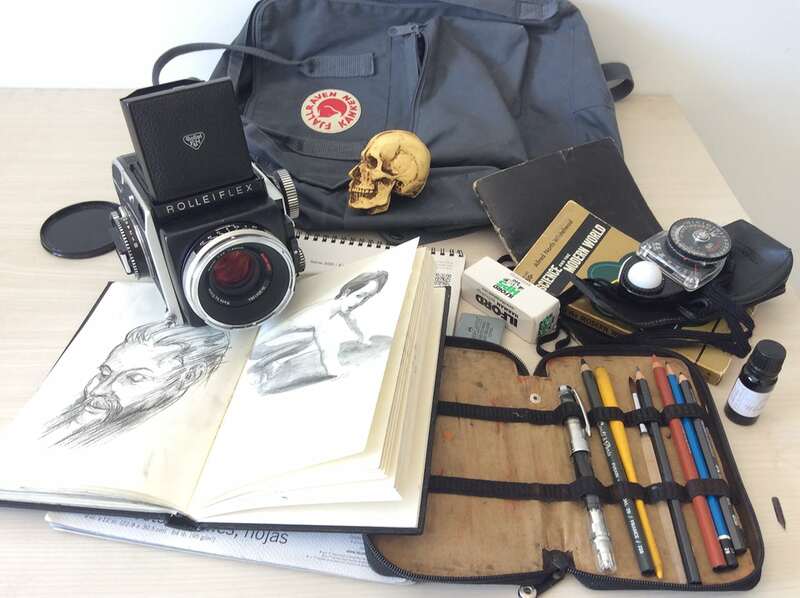 As said previously I also shoot with different other cameras, on this shot I have a Rolleiflex which I really like. Regarding the films, I mainly use diapositives which I cross-process when I make them develop but I also use black & white films or colour ones (that depends on my mood!). You can find more of my work on Flickr (https://www.flickr.com/photos/22776713@N02/ ), Instagram (https://www.instagram.com/etiennedespois/) or Tumblr (etienne-despois-blog.tumblr.com/). 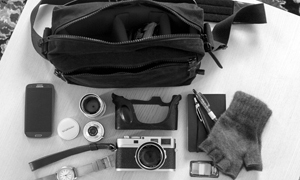 Thansk for sharing your bag with us, Etienne. That is a very cool M6 as well. Well done buddy ! Keep going !